Tim has over 20 years experience in international telecoms and IT, spanning the UK, Europe, USA, Asia & ANZ. Tim’s primary background is in business development, leading multi-disciplinary teams in client engagement, solution development, contracting, delivery and ongoing optimization of long-term outsourcing contracts for large global enterprises across a broad range of industry sectors. 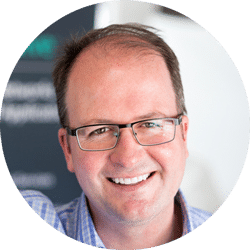 Prior to founding Coevolve, Tim held the position of Managing Director APAC for Reliance Globalcom (now Global Cloud Xchange). Tim repositioned the company’s managed services in the APAC market from a local to a global proposition, scaling the geographic coverage and driving a competitive advantage in emerging markets. Tim’s prior role was Senior VP Americas at Vanco (subsequently Reliance Globalcom) where he was part of the leadership team that grew the region from A$6 million to A$48 million annual revenues over a four year period. Ciaran is a technology industry professional with 16 years of experience in senior consulting and business development roles in the international networking / service provider industry, developing customized solutions for large global enterprises. His primary background is in the design, execution and implementation of complex outsourced infrastructure and managed services agreements. 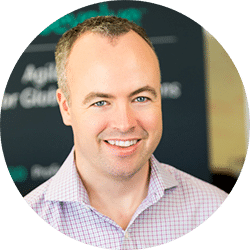 Prior to co-founding Coevolve, Ciaran held a senior position with Pace Harmon, a US-based IT strategy advisory and consulting firm focused on Fortune 500 MNCs. Prior to this, worked in Europe and the US with global service provider Reliance Globalcom (now Global Cloud Xchange) and virtual network operator Vanco, where he was responsible for global solutions and design standards. Ciaran boasts extensive international experience negotiating contracts in Europe, North America, Middle East and Asia Pacific, worth over US$ 700 million in total. These contracts were with highly global enterprises involving managed network services, hosted mail and collaboration tools, specialized SLAs, cloud-based infrastructure and telepresence. Ciaran has worked collaboratively with major enterprise CIOs and CFOs to deliver effective, high quality solutions across a range of MNC industries including: Telecommunications, Manufacturing, Financial Services, Architecture / Construction / Engineering, Retail, Mining, Oil & Gas and Pharmaceuticals. Ciaran is based in Chicago, USA. 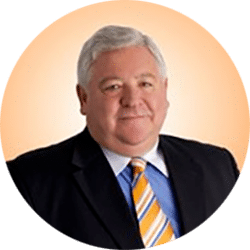 Chris has over 40+ years experience in corporate strategy, mergers & acquisitions, development capital, in-house legal affairs, taxation, structured debt, equity capital raising, banking relationships, public company IPOs in Australia – ASX, UK – AIM, Canada – CNDX, USA – NASDAQ, Hong Kong – Hang Seng. Chris founded the listing of what is today oOh!media Group (ex ASX:OOH), now part of one of CHAMPs Private Equity Fund’s investment from 2012. Founded the Human Therapeutics Group to acquire Hoechst AG’s biotechnology assets in Australia. Chris was a Chartered Accountant in Practice in Hong Kong for 13 years as a partner in KMG & SGV Byrne and as an Associate Director of Morgan Grenfell (Hong Kong) Limited between 1976 and 1990 then returning to Australia to undertake small cap advisory services Chris founded Carrington Forsyth in 2008, and as Director has helped grow it to a regional corporate advisory and investment bank. Chris is based in Sydney, Australia.